Michael Dickson’s research is focused along four broad themes: design and practice and developing design propositions through built work, design pedagogy and creativity, timber construction and timber resource maximisation and finally the confluence between craft and industrial production using CAD and fabrication technologies. 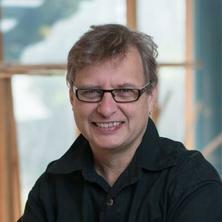 Michael is a lecturer in design, technology and communication at the School of Architecture, University of Queensland. Michael graduated from The University of Queensland in 1993 and has been practicing through a range of offices situated in Brisbane, Malaysia, Ireland and Latvia up until 2006. His most recent practice experience in Latvia was through his own private practice operated in collaboration with Mara Francis from 2001. During this time in private practice, Dickson Francis Architects worked on a range of projects from major reconstructions of post soviet infrastructure through to reconstruction of residences of heritage significance. Having recently entered academia, Michael’s research straddles teaching, research and practice with projects focusing on prototyping, experimental installations and developing research interests via consultancies through Uniquest. Dickson, Michael (2011). Finding space between design thinking and CAD training. In: Acrhitecture at the Edge: Association of Architecture Schools Australasia 2011 International Conference, Geelong, Vic., Australia, (). 19-20 September 2011. Dickson, Michael, A New School Vision, Cleveland, OH, U.S.A., . Dickson, Michael (2010). Concepts of play informing aspects of the design studio. In: Graham Forsyth, ConnectED 2010: Proceedings of the 2nd ConnectED International Conference on Design Education. ConnectED 2010: 2nd International Conference on Design Education, Sydney, NSW, Australia, (1-3). 28 June-1 July 2010. Dickson, Michael (2007). Studio as laboratory: A hinge between idea and practice. In: Carl Reidsema, CONNECTED 2007. CONNECTED 2007 International Conference on Design Education, University of New South Wales, Sydney, (##-##). 9-12 July 2007. Dickson, Michael and Francis, Mara, Courtyards and Corners: A New Rural Residential Dwelling, Semes Dsitrict, Tukums Region, Latvia, . Dickson, Michael, Hobart Waterfront International Design Competition, Tasmanian Museum and Art Gallery Bond Store on the Internet, . Dickson, Michael and Francis, Mara, Journey from the park, to forest to clearing and the prospect: Creating an internalized spatial sequence based on landscape metaphors, Auselka Street, Riga, Latvia, . Dickson, Michael and Francis, Mara, Site setting and circumstance: A house and courtyard garden, Riga, Latvia, Meshaparks, Riga, Latvia, .